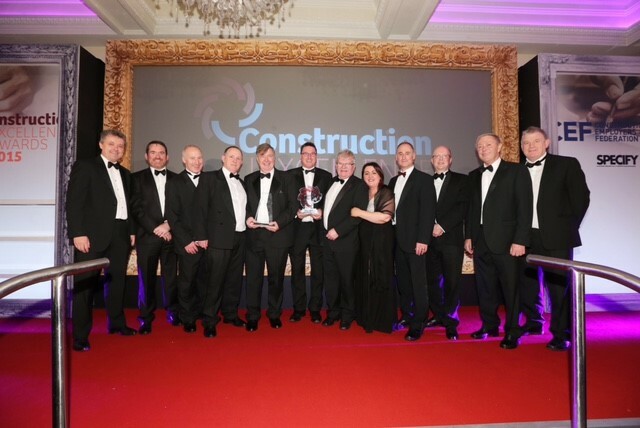 Congratulations to O'Hare & McGovern, for winning the CEF Specify Construction Excellence Overall Award for the Wellcome Wolfson Institute of Experimental Medicine project. Brian Harvey attended the awards with O'Hare & McGovern on the 8th October 2015 at the Culloden Hotel in Belfast. Harvey Group worked alongside O'Hare & McGovern on this highly innovative project, completed in May 2015, which also won the “Electrical Project of the Year” award at the Electrical awards in September 2015.